Like so many graduates of this institution, I am flooded with memories each time I drive through the Naval Academy gates and see the monuments and buildings that have by now become a constant in my life. The memories remain incredibly vivid, filled with an emotion that has never passed, making it hard to believe that it has now been a full generation since those first days after I raised my hand and took an oath to defend my country, and at the same moment forever abandoned what remained of my youth. Some of them are happy, some are not. Some are personal, some not. But all of them are tied in some way to service, and more specifically to the greatness of America’s Navy and Marine Corps. And when I think of where the country and the Navy and indeed I myself have journeyed, in my memory I always return to the evening lecture series in the musty, hallowed darkness of Mahan Hall. An integral part of our plebe summer training, the lectures were our first formal introduction to the leaders and the history of our new and special calling. Packed into the dankness of Mahan Hall with our new classmates sitting all around us, sweating and hacking and sneezing, exhausted from the day’s activities that had begun well before dawn, reeking of mildew from the white works uniforms that never seemed to get entirely dry, dozing now and then from the constant unrelenting pressure of our new calling, the pressure that challenged us to be men at eighteen, to assume responsibility and accept the consequences of our acts, the pressure that it seemed would never in the rest of our young lives abate, never let up perhaps even until we were finally old men nodding and hacking on different benches, bent and exhausted from our journey, the journey that would take us off to sea or under it or above it or into the jungles that bordered it, the journey that would find us, as the wonderful song we all learned to sing so aptly puts it, by the service called away, scattered far and wide. They were giants, the men featured in those lectures, and we felt their presence as we sat in the seats where some of them once sat and learned of the battles they had fought and of the courage they had shown. Their words and most importantly their example sank into me so deeply that for as long as I shall live I know they will never cease to bring shivers of pride and awe to me when I remember them, those bold mirrors of an increasingly distant past. The young lieutenant on Guadalcanal who had asked his loved ones always to pray, not that he came back, but that he would have the courage to do his duty. The Chaplain on a sinking ship who gave his life preserver to a young sailor telling him, “Take it, lad, you need it more than I do.” The Admirals of the greatest sea battles in history who faced enormous decisions that had to be made on gossamers of information, with thousands of lives and indeed a nation in the balance. And above all the inarguable first commandment of naval leadership, shown time and again by leaders young and old when their defining moment came, echoing in my own conscience with every challenge I have faced for more than thirty years thereafter: where principle is involved, be deaf to expediency. And so I resolved to prepare myself so that when my time came I could honor this heritage by showing the same physical and moral courage, the identical dedication to my country and to the people whose lives were being entrusted to me. I wanted more than anything to have the courage to do my duty, to take care of my people, to speak the truth no matter how it hurt, and indeed no matter what the consequences. And I was not alone. In the mess hall, on the parade field, walking to class, I could look around me and see thousands who felt the way I did. Some might say we were naive, that we aspired to some unreachable romantic standard that human nature, in its tilt toward survival and accommodation, cannot consistently maintain. My own journey tells me otherwise, that we were right, that for the long-term good there is no substitute for an insistence on ethics, loyalty, accountability and moral courage. And yet today I am sadly astounded to see our Navy struggling for its soul, too often unanchored from those simple yet demanding notions, many of whose leaders have advanced themselves through a blatant repudiation of those very ideals. There are still exceptional leaders in our Navy, some of whom are my classmates, many of whom I deeply respect. But too often the best leaders are not being heard. Something almost unexplainable happened in the decades since we sat in those seats inside Mahan Hall. Some of it happened to the country as a whole, but some of it did not. 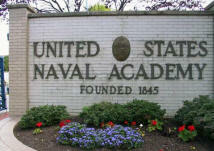 A great deal of it happened to the Navy as an institution. It happened gradually, issue by issue, argument by argument, compromise by compromise. Over time, getting worse and worse as the years went by, an increasing percentage of the naval leaders who were promoted into the highest sanctums of government somehow lost their way, until finally in recent years, many whose very duty it was to defend the hallowed traditions and the unique culture of their profession declined to do so when their voices were most urgently needed. Some are guilty of the ultimate disloyalty: to save or advance their careers, they abandoned the very ideals of their profession in order to curry favor with politicians. I frequently find myself wondering how this could possibly have happened. To be fair, these have been uniquely difficult times for military leaders. Our generation’s complex and volatile political debates resulted in unprecedented intrusions into command relationships because of new concepts of limited war, increased judicial oversight, and a variety of programs mandated under the rubric of equal opportunity. The all-volunteer system with its emphasis on targeted bonuses and specialty pay fostered greater rewards for individual skills than for group values. But the other services faced these same issues with far less chaos. The inescapable difference has been the approach of the Navy’s top leadership, particularly during this decade. And so I go back to those dank, sweltering teenage evenings in Mahan Hall and I ask myself, what would Nimitz have said and done in these situations? Or King? Or Admiral McCain? Or, dare I be presumptuous, Tom Moorer, one of the great living Admirals of our time? Indeed, what should any true leader who believes in the system that advanced him and in the people who serve that system feel compelled to do? And why hasn’t it been done? Perhaps over time moral courage became less important as a promotional criterion than political correctness, so that many of the most capable simply did not get promoted in the first place, could not make the cut in an environment where politicians more and more frequently played favorites and rewarded sycophants. Perhaps some kept their courage but became confused regarding their jurisdiction in that ever-widening grey area where military and political control overlap. Perhaps some chose to hide behind the notion of civilian control as a way to duck the hardest issues facing them; issues they feared might be dangerous to their personal advancement, issues that might even affect their ability to get a good corporate job when they retired. Perhaps for some loyalty became personal rather than institutional, directed at saving the boss rather than the service itself, and along the way getting one’s self a fine fitness report. Or, just maybe, all of the above, in varying amounts, depending on the individual and the crisis of the moment. Allow me a reflection. I resigned as Secretary of the Navy after repeated arguments over force structure reductions that I believed were strategically unwise. I had presented the new Secretary of Defense three alternative ways of meeting an 11 billion dollar budget reduction without taking apart the Navy’s shipbuilding program. I made a series of presentations and speeches, including one at the National Press Club, where I indicated that it was time for the United States to return to its traditional strategic role as a maritime power by reducing its overly large Army and Air Force commitment to NATO. At that time we were fielding 60,000 more Army soldiers in Germany alone than Britain had in its army worldwide, and almost as many Air Force personnel in Germany and the U.K. as there were in the entire British Air Force. Repeatedly I made the point that our static defensive bases overseas were an historical anomaly that were due to be reduced, but that it was vital for our country to maintain a vigorous and sizeable fleet in order to meet continuing geopolitical demands around the world, particularly in Asia, the Indian Ocean, and the Persian Gulf. Instead of offering or responding to a strategic vision, the new Secretary of Defense ordered each department to offer up force structure reductions in approximately equal shares, largely to avoid political fights inside the JCS and in the Congress. I could not agree with this. The stakes for the Navy were similar to those in 1949 when Louis Johnson, within weeks after becoming Secretary of Defense, abruptly canceled the Navy’s aircraft carrier program, prompting the immediate resignation of Navy Secretary John Sullivan and his undersecretary; and after that the famous Revolt of the Admirals. The revolt cost Admiral Denfield his position as CNO, but in the process it saved carrier-based naval aviation, to the benefit of the Navy and certainly of the country. I lost the debate, and regrettably resigned from the best job in the world. There was no second revolt of the Admirals, nor did I expect one, but the lack of vigorous argument on behalf of their Navy did, frankly, amaze me. And where are we now? The troop levels in Europe were going to be reduced in time, anyway. Failing to advance a vigorous strategic vision simply allowed the Navy to be shrunk as well. And today in the congress, the think tanks, and the professional journals, so-called military experts argue almost without rebuttal that navies exist simply to fight other navies, as if the geographical makeup, national security needs, and lanes of commerce of all nations are the same. The bases in Subic are gone, with no visible movement to replace them elsewhere. Our bases in Japan and Okinawa are in jeopardy. The Korean peninsula is a tinderbox, even on the verge of war. China is mocking American power as it builds its economy with the help of American business and at the same time develops a strategic axis with the Muslim world, intimidates its neighbors, proliferates nuclear weapons, and aggressively grows its own fleet. Libya is building a massive poison gas facility. Pakistan and Iran are increasing their military and even nuclear aspirations, bidding to become major powers. These events are occurring against a backdrop where the fleet is moving toward 300 ships, one-third the size of the Navy when I was commissioned, and half of the nearly 600 we were able to rebuild it to during the Reagan era. Not surprisingly, over the past seven years our national presence in Pacific Asia has become ever more tenuous. Our allies are wondering whether and for how long we will be dependable. Our competitors and potential enemies have begun to discount us, both politically and militarily. Few in Asia missed the significance of China’s recent warning that American naval vessels not sail through the international waters of the Taiwan Strait, and the Clinton Administration’s compliance with that warning. In case anyone cares to notice, these issues play along the most vital sea lanes of our country and its key allies. And who among the leadership has been willing to bet his reputation and his career on the need to preserve Navy force structure? Whenever a crisis erupts that threatens our country’s security interests, most of us know the first question usually asked by the President’s national security advisers. Where are the carriers? And the answer is always the same. They are either on station or proceeding with all due speed into harm’s way. I was in Asia during the tensions that flared just before the Taiwanese elections. Whether the Administration used them properly or not, the carriers were there, ready to strike, just as they have been in or near every other hot spot over the last fifty years. To be specific, the officers and sailors were there, showing once again why the carrier battle group is the most potent and formidable tactical assemblage in history. As always, the finest combat pilots in the world were in their ready rooms or on the catapults, prepared to do whatever it took to defend the security interests of the United States. They have never failed our nation, not once. They are smart, they are tough, they are dedicated, they are loyal; they are truly the best we have. So when the Tailhook investigation began, and certain political elements used the incident to bring discredit on naval aviation as a whole, and then on the Navy writ large, one is entitled to ask on behalf of these magnificent performers who have never failed their leaders, where were their leaders? When the acting Secretary of the Navy, who had never spent a day in uniform, called a press conference and announced that the antics of one group of aviators at Tailhook was an indication that the Navy as a whole had a cultural problem — cultural, as in ethos, as in the overall body of traits that constitute an institution’s history and traditions — how could the Chief of Naval Operations stand next to him and fail to defend the way of life he had spent a career helping to shape? When Paula Coughlin’s commanding officer, who had previously received dual honors as the Navy’s outstanding fighter pilot and as commander of its outstanding fighter squadron, was relieved of his command based on a letter she wrote, without being given so much as five minutes to explain his own actions in her case to the Admiral who summarily dismissed him, who dared to risk his career by taking Jack Snyder’s side? When one of the finest candidates for Commander in Chief of the Pacific in recent times, a man who flew more than 500 combat missions in Vietnam and then in the Gulf War commanded the largest naval armada since World War II, is ordered into early retirement by the Chief of Naval Operations because one Senator asked on behalf of a constituent why Stan Arthur as Vice Chief of Naval Operations had simply approved a report upholding a decision to wash out a female officer from flight school, who expressed their outrage? Who fought this? Who condemned it? When a whole generation of officers is asked to accept the flawed wisdom of a permanent stigma and the destruction of the careers of some of the finest aviators in the Navy based on hearsay, unsubstantiated allegations, in some cases after a full repudiation of anonymous charges that resemble the worst elements of McCarthyism, in effect turning over the time-honored, even sacred promotional process which lies at the very core of military leadership to a group of Senate staffers, what Admiral has had the courage to risk his own career by putting his stars on the table, and defending the integrity of the process and of his people? When the captain of a ship that experienced a significant pregnancy rate while deployed overseas stands in front of the entire world and announces that none of these incidents happened at sea, is there a sailor in the Navy who honestly believes him? Indeed, what would have happened to the captain’s career had he said otherwise? How does that reality affect loyalties, and even one’s own belief in a code of ethics? I could go on. But it should surprise no one that this type of conduct has the result of killing morale down the chain of command, and building up resentment, not only against the leadership but also against politically protected sub-groups. Thus, top leaders seeking to minimize or reverse problems often cause them to become more severe, even among those who otherwise might support the policies. One wonders whether these Admirals really believe that political staffers in the Senate possess more wisdom and judgment than their own officers on matters relating to discipline and qualifications for promotion. If they do, they should resign immediately. If they don’t then they should fight back, not with a memo here and there but by being willing to bet their careers on the soundness of the institution that gave them a career in the first place. Or is there an insinuation here that their own careers are more important than the dozens that are being ruined, and the thousands that are either deciding to become civilians or waiting in the balance, to see whether leadership can survive in the U.S. Navy? I was recently shown a most disturbing statistic. Last year, 53 percent of the post-command Commanders in naval aviation left the Navy rather than continue their careers. In no other year, ever, has that number reached even 25 percent. These were the cream, the very future of the Navy; officers who had performed for two decades in a manner that marked them as potential Admirals. They took their commands, they saw how the Navy is being led, and they walked. And who is willing to accept responsibility? The aftermath of Tailhook was never about inappropriate conduct so much as it was about the lack of wisdom among the Navy’s senior leadership. Tailhook should have been a three or maybe a five-day story. Those who were to blame for outrageous conduct should have been disciplined, and those who were not to blame should have been vigorously defended, along with the culture and the mores of the naval service. Instead, we are now at four years and counting, and its casualty list reads like a who’s who of naval aviation. These kinds of problems are fixable. It is not difficult to identify them, which is one reason morale has sunk in the fleet. What is difficult is finding people who will insist that they be fixed. Our system still produces such leaders. In 1987 my predecessor as Secretary of the Navy tried to order Admiral Bruce DeMars to change the results of a promotion board on which he had served as President. In the weeks just before my confirmation hearing, I watched him put his career at great risk by refusing to do so, on the grounds that civilian control ended with the precepts given to the board. I not only supported that position, I admired it. On a more recent note, Admiral Chuck Larson has been faced with a panorama of difficult decisions right here at the Naval Academy, having inherited the results of years of weak, politically oriented leadership that threatened the very fabric of this institution. National media attention has been intense. He and the senior officers he put into place have truly begun to bring the Academy back to its rightful place as the heart of naval leadership, the cradle of its values. The recent events that have attracted so much media attention beg for context. I have never been shy about offering criticism of Academy policy when warranted. But we are not seeing a cheating scandal. We are not seeing a drug scandal. We are not seeing the failure of discipline. We are seeing leadership at work taking the grist that society offered it, openly dealing with a variety of offenses by people who — if you add them all up — make up less than 1 percent of the Brigade. As one example, when three midshipmen were recently arrested for sale and distribution of LSD, Admiral Larson immediately ordered the entire Brigade of Midshipmen to take a urinalysis. All at once. The media was flabbergasted, but never more so than when no drug users turned up. None. Admiral Larson had no way of knowing that in advance, but he believed in his people, and they did not let him down. It’s fair to say that with this decision Admiral Larson bet the Brigade — and bet on the Brigade — and won. At Tailhook a long succession of high-rankers bet against the traditions and the respect of the naval service — and everyone lost. If the Navy is to regain its soul and its respect, the answer lies in the right kind of leaders, at every level of command. Leaders who understand that the seemingly arcane concepts of tradition, loyalty, discipline and moral courage have carried the Navy through cyclical turbulence in peace and war. Leaders who are imbued with a solemn duty to preserve sacrosanct ideals and pass them on to succeeding generations. Leaders who know that this obligation transcends their own importance, and must outlast their individual careers. Leaders with the courage to articulate the inviability of these ideals to the political process. Leaders who will never allow a weakening of these ideals in exchange for self-preservation. It is time to give the Navy back to such leaders. There can be no more important task over the next few years. Without officers who will defend the Navy’s culture and take decisive action when it is needed, there will be nothing but continuing chaos. With them, as they have shown throughout the Navy’s history, no challenge is too great, and anything is possible.